Weird fiction is a subgenre of speculative fiction originating in the late 19th and early 20th centuries. John Clute defines weird fiction as a "Term used loosely to describe Fantasy, Supernatural Fiction and Horror tales embodying transgressive material". China Miéville defines weird fiction thus: "Weird Fiction is usually, roughly, conceived of as a rather breathless and generically slippery macabre fiction, a dark fantastic ("horror" plus "fantasy") often featuring nontraditional alien monsters (thus plus "science fiction")." Discussing the "Old Weird Fiction" published in the late 19th and early 20th centuries, Jeffrey Andrew Weinstock says, "Old Weird fiction utilises elements of horror, science fiction and fantasy to showcase the impotence and insignificance of human beings within a much larger universe populated by often malign powers and forces that greatly exceed the human capacities to understand or control them." Weird fiction either eschews or radically reinterprets ghosts, vampires, werewolves, and other traditional antagonists of supernatural horror fiction. 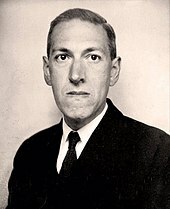 Weird fiction is sometimes symbolised by the tentacle, a limb-type absent from most of the monsters of European folklore and gothic fiction, but often attached to the monstrous creatures created by weird fiction writers such as William Hope Hodgson, M. R. James, and H. P. Lovecraft. Weird fiction often attempts to inspire awe as well as fear in response to its fictional creations, causing commentators like Miéville to say that weird fiction evokes a sense of the numinous. Although "weird fiction" has been chiefly used as a historical description for works through the 1930s, the term has also been increasingly used since the 1980s, sometimes to describe slipstream fiction that blends horror, fantasy, and science fiction. It has been suggested by some, predominantly Ann and Jeff VanderMeer and China Miéville, that Weird fiction has seen a recent resurgence, a phenomenon they term the New Weird. Tales which fit this category, as well as extensive discussion of the phenomenon, appear in the anthology The New Weird. ^ a b c d John Clute, "Weird Fiction", in The Encyclopedia of Fantasy, 1997. Retrieved 29 September 2018. ^ a b c d e f g h i j k l m n o p q r s t u v China Miéville, "Weird Fiction",in: Bould, Mark et al. The Routledge Companion to Science Fiction. New York: Routledge, 2009. ISBN 0-415-45378-X (p. 510-516). ^ a b c d e f g h i j k l m n o p q r s t u v w x y z aa ab ac ad ae af ag ah ai aj ak al am an ao ap VanderMeer, Ann and Jeff. "The Weird: An Introduction". Weird Fiction Review. Retrieved 7 June 2014. ^ a b Joshi, S. T. (1990). The Weird Tale. University of Texas Press. ISBN 0-292-79050-3. ^ "Bates had an affinity for weird fiction, but Strange Tales didn't go in for Lovecraft's brooding, wordy atmospherics." Ed Hulse, The Blood 'n' Thunder Guide to Pulp Fiction. Murania Press, Morris Plains, New Jersey, 2018. ISBN 978-1726443463. (pp.130-131). ^ a b Gordon, Joan (2003). "Reveling in Genre: An Interview with China Miéville". Science Fiction Studies. 30 (91). ^ Jerry L. Ball, "Guy Endore's The Werewolf of Paris: The Definitive Werewolf Novel?" Studies in Weird Fiction, No. 17: pp. 2-12. Summer 1995. ^ Timothy Jarvis, 101 Weird Writers #45 — Stefan Grabiński, Weird Fiction Review, December 20, 2016. Retrieved September 1 2018. ^ "Twice-Told Tales...and Mosses From an Old Manse (1846; 23s) include most of Hawthorne's weird fiction. " Michael Ashley, Who's Who in Horror and Fantasy Fiction. Taplinger Publishing Company, 1978. ISBN 9780800882754 (p.90). ^ Gauvin, Edward. "Kavar the Rat". Retrieved 7 June 2014. ^ Nolen, Larry. "Weirdfictionreview.com's 101 Weird Writers: #3 – Julio Cortázar". Weird Fiction Review. Retrieved 1 September 2014. ^ "...the cartoonist Gahan Wilson, whose thirty-odd- year sideline as an occasional writer of weird fiction has now heaped up enough oddments to fill a book." Brian Stableford, News of the Black Feast and Other Random Reviews. Rockville, Maryland : The Borgo Press, (p. 131) ISBN 9781434403360. ^ a b c VanderMeer, Ann; Jeff VanderMeer (2008). The New Weird. Tachyon. pp. xvi. ISBN 978-1-892391-55-1.